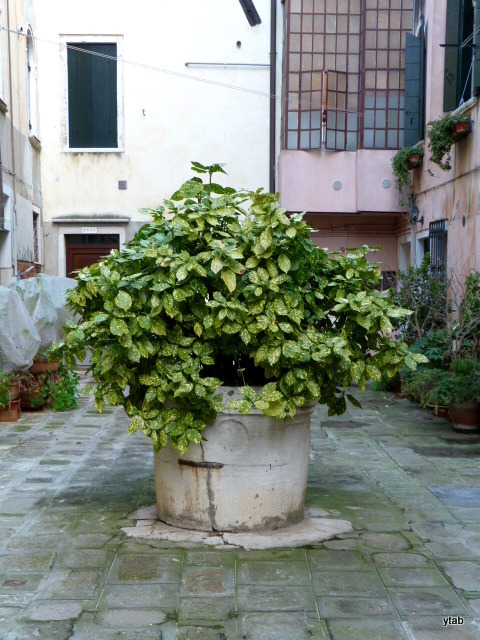 A quiet, hidden little corner of Cannaregio. I wonder if acqua alta poses a big problem here? 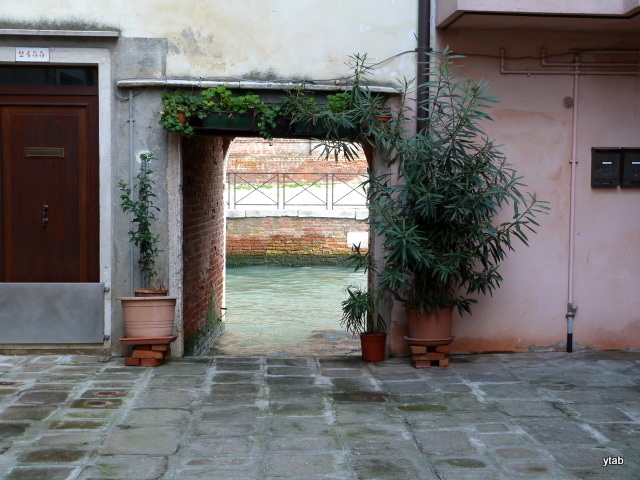 They have canals on either side of the corte. According to an interesting website [ramses.it] the lowest parts of the corte are 103 cm above the mean sea level of 1897 [you’d think they might update that]. The highest parts are 120 cm above msl. Wiki says Venice has ‘lost’ 23 cm since 1897, but it seems to me (and I may have misunderstood) that they still use the 1897 datum for saying how high an acqua alta is. So if an acqua alta is expected to be 100 cm, then the Trapolini should be safe. Much higher than that and they will have wet feet. I guess the only way to know for sure would be to live there and make notes with the various high tides, Bert. I’ll try to remember to ask Signora Corona when I next see her. That is fairly low – our old corte was covered at 120cm. It looks and sounds like the perfect place and we could fit right in….although being the youngest in the corte they would probably call us “the raggazzi”. And that would be a bad thing? A great way to improve our Italian or start learning Veneziano! Lovely and full of character. That’s Venice in a nutshell, Laurie. 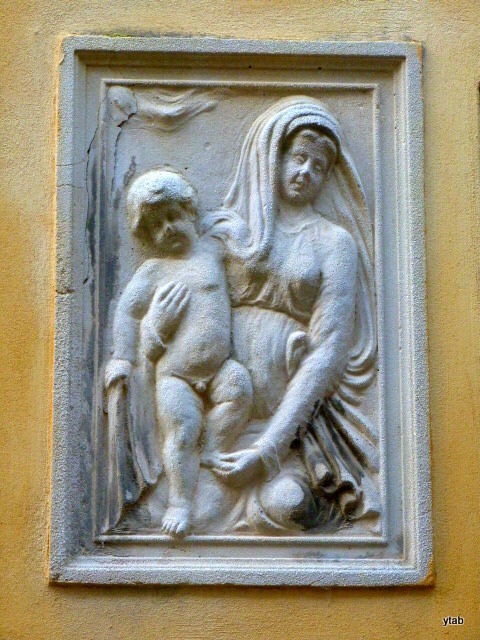 It seems to be mostly elderly widows living in the apartments in that little corner of Cannaregio. I’ve met one of them, she’s well into her 80s, and can tell some interesting stories! That’s very cool! You can always hear the most amazing stories in the most unlikely of places!